With all the interesting cars for sale around the web, you don’t have to be a millionaire to buy them, but you might need Jay Leno’s garage space to store them. However, if your collection includes those of the two-wheeled variety, you might be able to have your cake and eat it too. And by cake, I mean one-off rotary powered unicorn. 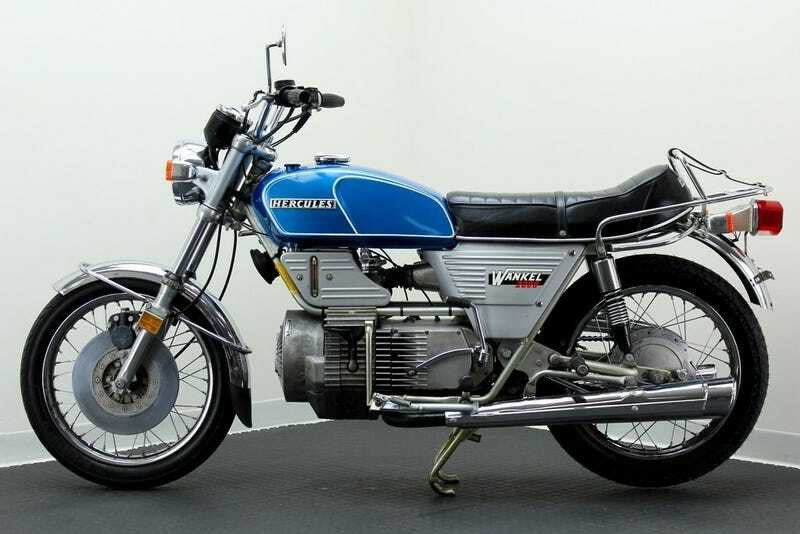 Find this 1976 Hercules Wankel W-2000 here on eBay bidding for $4,191 reserve-not-met with 5 days to go, located in Chicago, IL. Tip from Zach Z. Originally posted as Rotary Unicorn: 1976 Hercules Wankel W-2000 on Daily Turismo. Image credits; eBay.